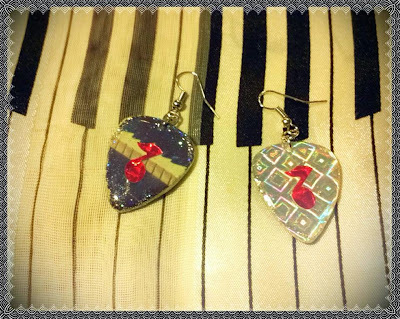 Piano keys, music notes and lots of shine! 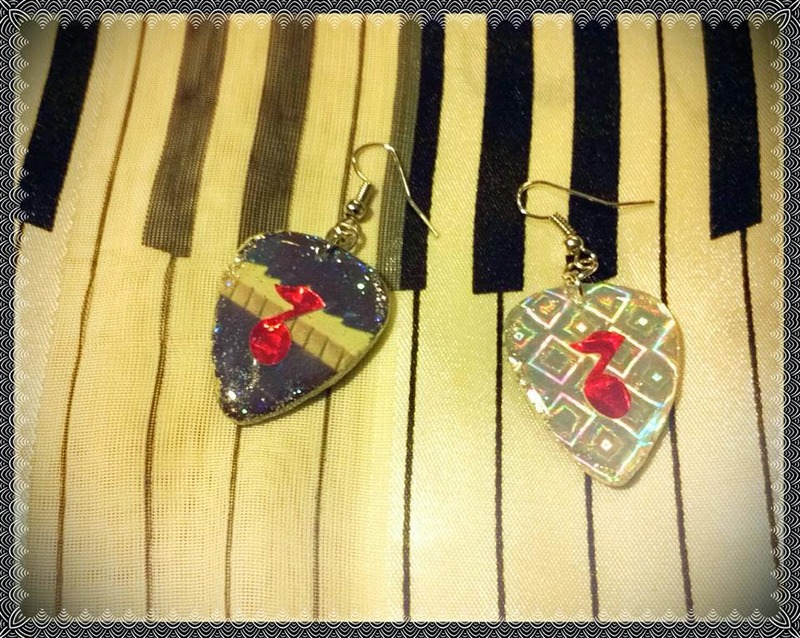 Check out this newly finished pair of Elton John inspired guitar pick earrings! I made these guitar pick pendants from his album "Here and There." 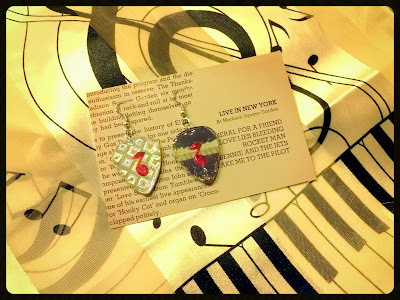 Check out MORE of my Elton earrings here!